Do you have a couple and are planning to make a marriage proposal in a special place? If you are looking for a colorful city full of stunning spots, Seville is your best choice! Selected by many travelers as one of the most romantic cities of Europe, Seville has plenty of beautiful secret places that can be unique for your marriage proposal. In addition to its charm, this city offers numerous activities and things to do during the spring time, so you can take advantage of that and have a funnier and wittier declaration of love! We have selected for you the best places in Seville to have the best marriage proposal ever! Take a look! 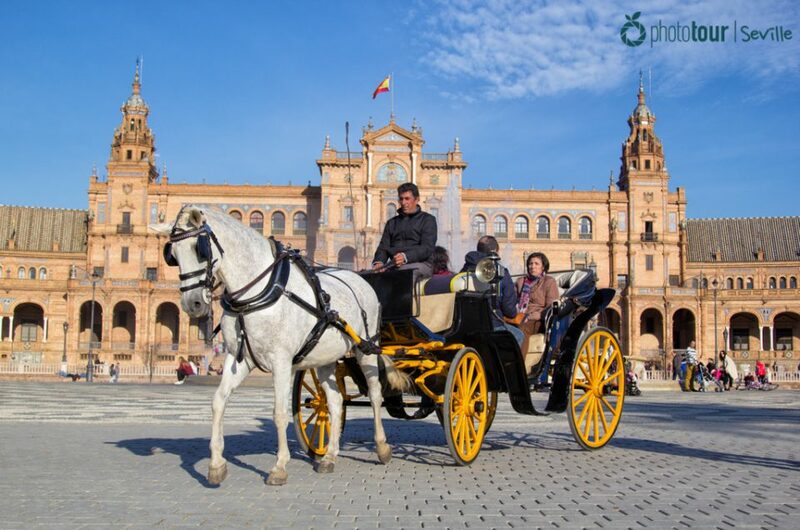 This huge and monumental square can presume of being one of the most beautiful places of Seville, which has made it to be selected several times by Hollywood in order to shoot some famous movies like Star Wars and Lawrence of Arabia. What makes this place unique is its wide range of different architectural elements that create so many photogenic spots, as the bridges of the water canal, the arches and columns, and the main fountain of the square. 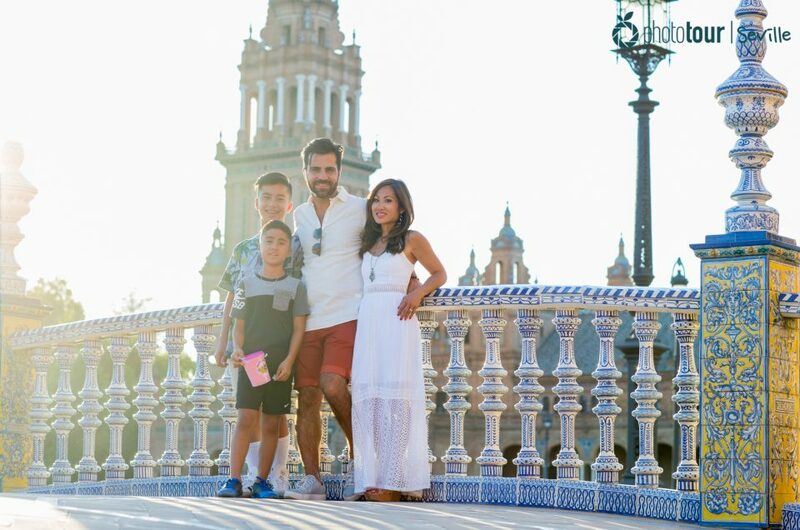 The regionalist-Andalusian style of the square makes Plaza de España one of the best places in Seville to perform your marriage proposal this spring, or at any other time of the year! Imagine to perform your declaration of love with a historical architectural ensemble as background… You will have a photo that will last a lifetime! Declared as a cultural interest site, the María Luisa Park is without a doubt the most beautiful park of Seville. Built in 1924, these gardens were a private part of the San Telmo Palace, and weren’t donated to the people of the city until 1893. Inside this historical park you can find numerous little squares and gardens that will create a unique environment for your marriage proposal. One of our favorite places of Parque de María Luisa is the Fuente de los Leones (Lion´s Fountain), where you will find a beautiful ensemble of fountains supervised by gargoyles of lions that will remind you to the Alhambra of Granada. This is definitely a dream place like no other one to perform your marriage proposal at Seville! Do you want to immortalize your declaration of love at the same place where Game of Thrones was filmed? Then go to visit the Real Alcazar of Seville! This set of Arabic palaces declared World Heritage is one of the favorite places for locals. Why? Because inside you will find extremely well cared and beautiful gardens and a breathtaking palace full of little details, and they will make you think you are in the Alice in Wonderland movie! Also, the Muslim style of its arches and water channels will be a perfect background for your photo album. 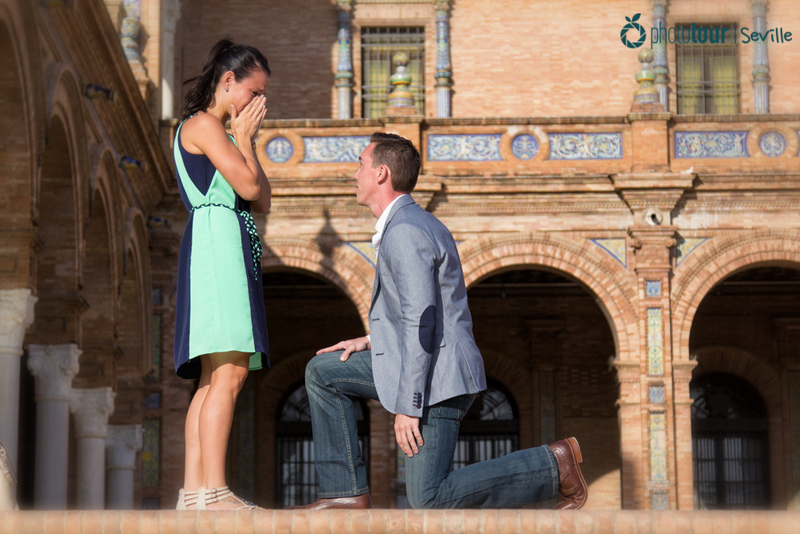 You will be able to show off of having a marriage proposal reportage in one of the best places of Seville. If we had to choose one of the most romantic places of Seville, we would definitely choose the Barrio de Santa Cruz. This medieval Jewish neighborhood, restored during the 19th century, is full of little intimate and charming squares that seem to be made for a postcard. Nearby these squares you will also find endless narrow streets that invite you to get lost in the neighborhood. One of the highlights of the Barrio de Santa Cruz is the iconic tower of the Cathedral, La Giralda, which will be a perfect background for your marriage proposal album. Located by the Guadalquivir River, Triana can presume of being one of the most authentic places of Seville. This charming neighborhood, inhabited mostly by locals, is famous by the art craft shops and traditional bars that are spread among its streets. One of the highlights of Triana is the frontage that lie on the Betis Street. This set of colorful houses are a perfect photo for your declaration of love, especially if is performed at sunset! Have you already decided the best place for your marriage proposal? Let us know your preference and we will be happy to immortalize your experience! Our team of photographers are experienced in taking photos of couples celebrating their marriage proposals and declarations of love, so you can be relaxed knowing that in Photo Tour Seville we will save your special moment forever. Don’t be shy and contact us! Let us help you save your marriage proposal forever!